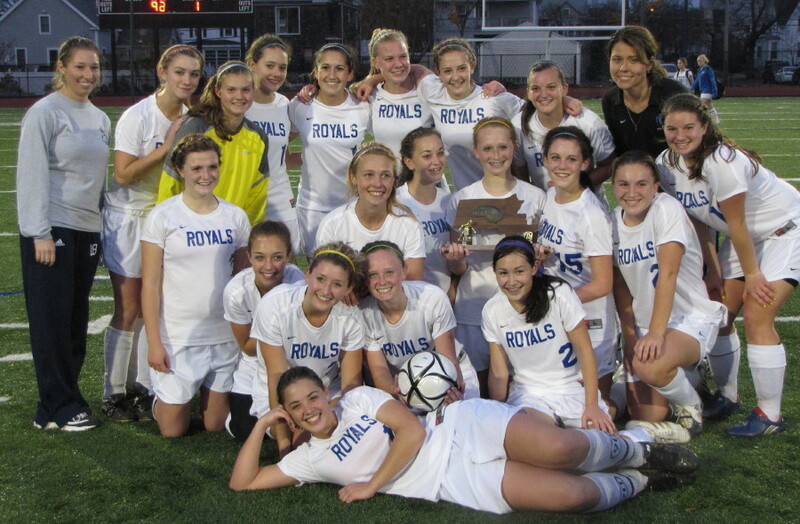 (Lynn) I didn’t see any hats fly out of the stands but Georgetown’s Nicoline Holland registered three goals – now 20 for the season – in the first half and the Royals soccer girls won the Division 3 North Finals on Sunday afternoon at Manning Field. Last time I was on Manning Field was November 16, 2008 and it was raw and windy. Today, it was close to 60 degrees with no wind – beautiful weather. In that year-ago visit, I saw the Georgetown boys soccer team get eliminated in the D3 North finals by Hamilton-Wenham, 2-1. It didn’t take long to see that the Georgetown girls would not suffer the same fate versus the Greater Lowell Tech Gryphons. Way too many quality players on the Georgetown team. 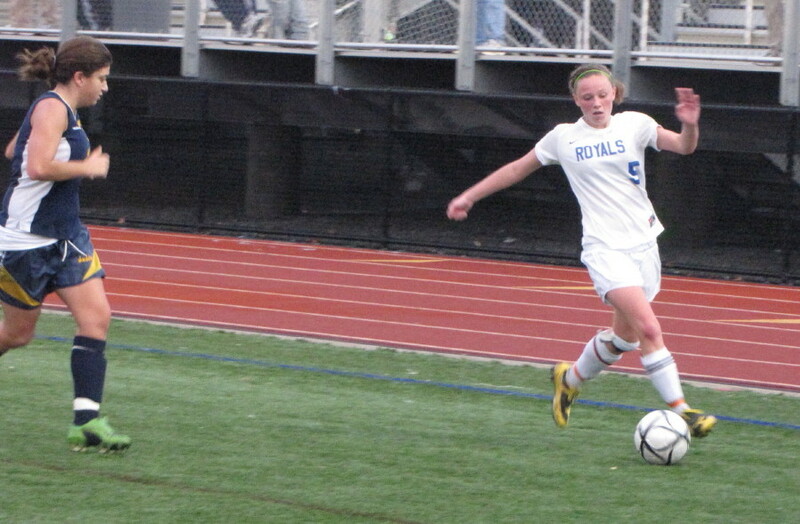 The Royals put numerous passes together throughout this game and controlled the time of possession decisively. Georgetown displayed plenty of good dribbling, passing, and being available to support teammates in trouble. Greater Lowell had little or any of that. 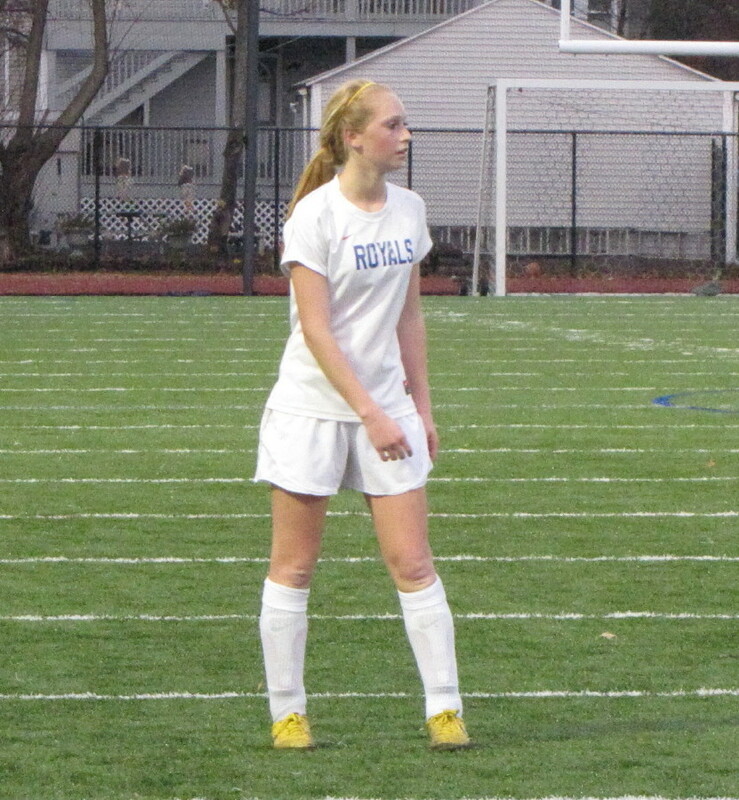 This was my first look at Georgetown and I came away most impressed with defender Kelly Chickering – excellent speed and covered a lot of ground. All three of Nicoline Holland’s goals came from in close. 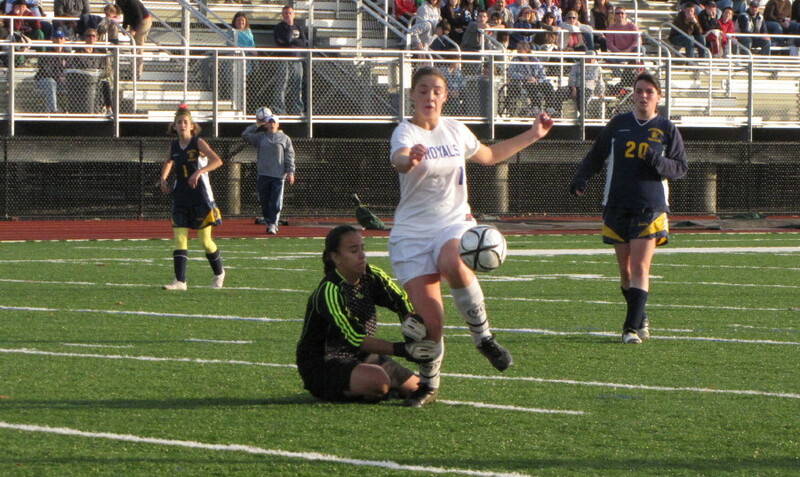 She headed one in and got a good foot on two others for scores from near the goal. At least one of them came from a corner kick. Georgetown pulled Jamie Block out of the goal for the second half and the freshman assisted on goal #4 that Casey Decareau tallied midway through the second half. Emma Cannon closed out the scoring with under four minutes left. Convincing win? No question. I have no idea how good the three Division 3 teams still standing are, though. This was Royal 4th year coach Colleen Gibbs first trip to the Division 3 Finals and now she gets to the state semifinals against the South winner. 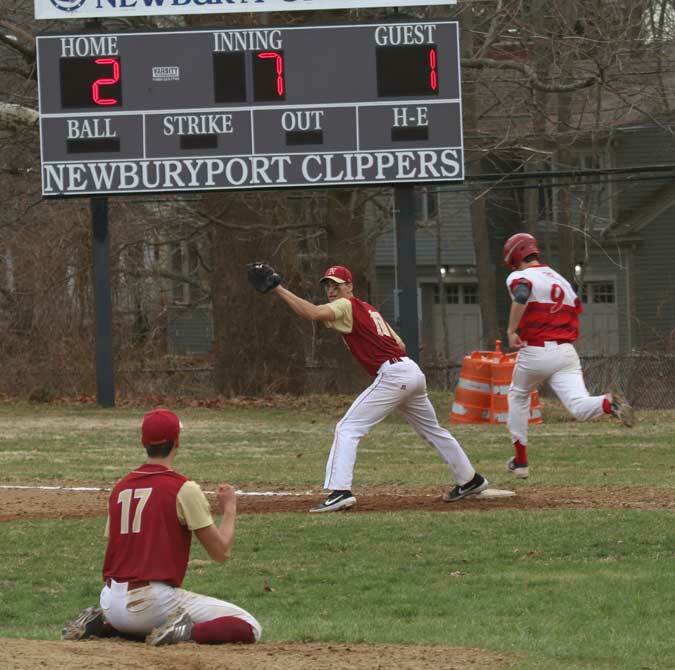 Does this team have another victory crossing in them? ?